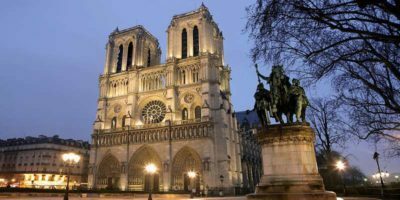 If you plan on visiting Montmartre, you probably also plan on visiting the Sacre-Coeur, which is also known as the Basilica of the Sacred Heart of Paris or the Sacre Coeur Basilica, as you prefer. 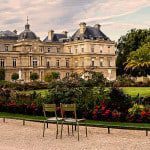 Anyway, this article has been written for whoever wants to know a little more about this stunning landmark of Paris. 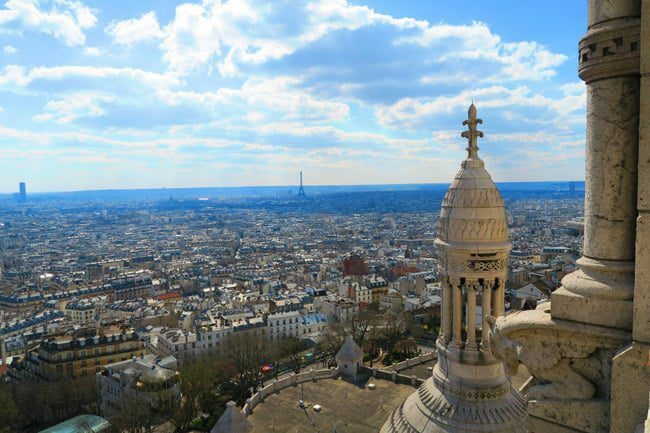 Located at the top of the hill of Montmartre, the majestic church offers one of the most amazing views over Paris. 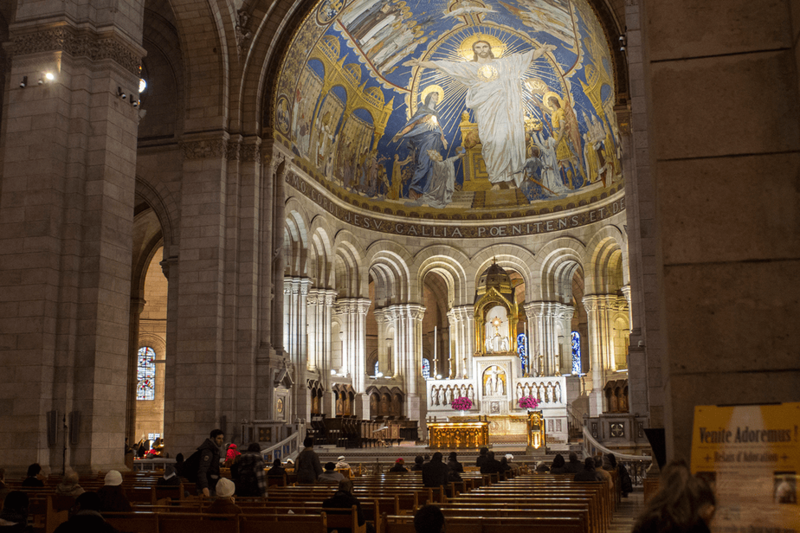 Whether you’re an architecture enthusiast, or a believer, you will love the Sacre-Coeur where art and worship are mixed together. This interesting church has a lot to discover and a lot of secrets kept to itself. 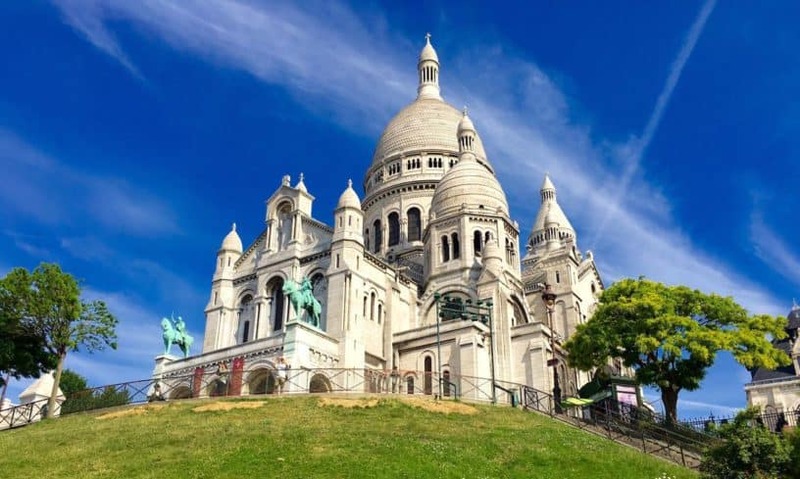 If you’re curious and would love to know a few facts about the Sacre-Coeur, read on this article and find out my top 10 fun facts about the Sacre-Coeur! 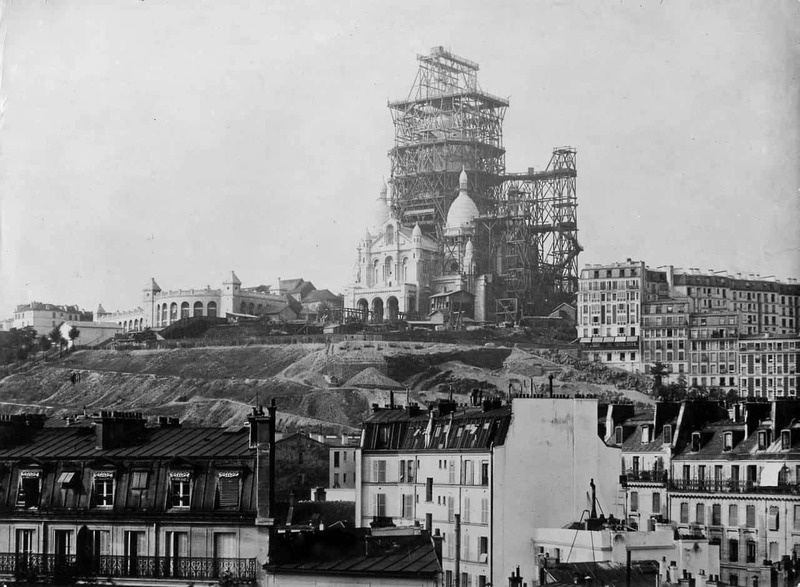 The Sacre-Coeur now stands on top of the hill of Montmartre, but, before its construction, this place was already a place of worship. Indeed, paganism used to be practised, and gallo-roman temples were once built there in dedication to Mercure and Mars. Being the highest point of the city, this place has always been chosen by the believers, due to the feeling of being closer to the sky, which holds the idea of being closer to god, to heaven and forgiveness in catholicism. Next on my top 10 fun facts about the Sacre-Coeur is the fact that it is the second highest point of the city. You probably which one is first: it is the iconic Eiffel Tower. 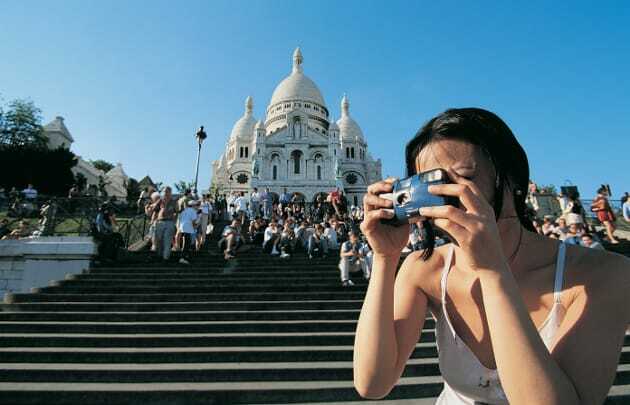 The Sacre-Coeur comes rights after, because it was built on top of the Montmartre hill, at a height of 130 meters. Both the dome and the bell tower is 91 meters tall. So, the total height of the Sacre-Coeur is of 213 meters above the sea level. 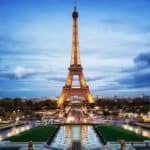 Since the Eiffel Tower is 300 meters tall and the Montparnasse Tower is 210 meters tall, the Sacre-Coeur takes the second place in the highest points of Paris. 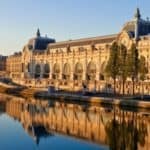 Do you want to discover Paris ? The Sacre-Coeur welcomes more than 10 millions visitors per year, while the Notre Dame welcomes about 13 millions visitors per year. 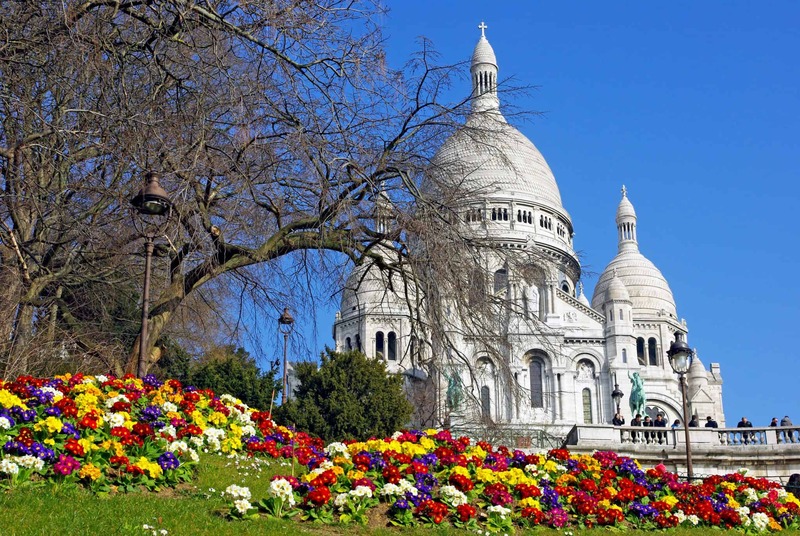 After the Notre Dame Cathedral, the Sacre-Coeur is the most visited church in France. 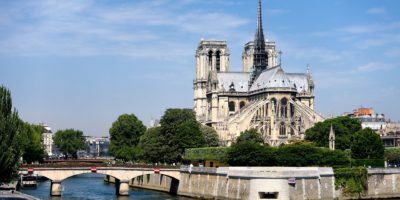 You can visit the basilica for free, however if you want to visit the dome to enjoy a spectacular view over Paris, you have to buy the tickets on site. You can access the dome outside the church on its left side. The architect Paul Abadie is the one who designed the Sacre-Coeur. The architectural style is romano-byzantine and was inspired by churches, like Saint Sofia in Constantinople and San Marco in Venice. 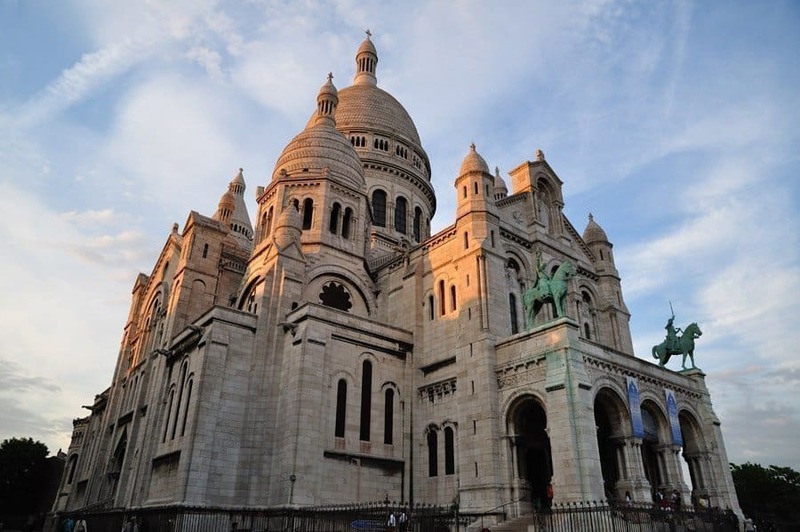 Both the exterior and interior architecture of the Sacre-Coeur are in romano-byzantine style. You will love the light and the details of this majestic place! The construction of the church was financed by the faithful Parisians through generous donations. You will find the names of the people who invested in the construction engraved all over the walls of the church. The French army was defeated by the Prussians army in 1870. Alexandre Legentil, a believer, wanted to relieve the French people from the pain and the humiliation it went through. 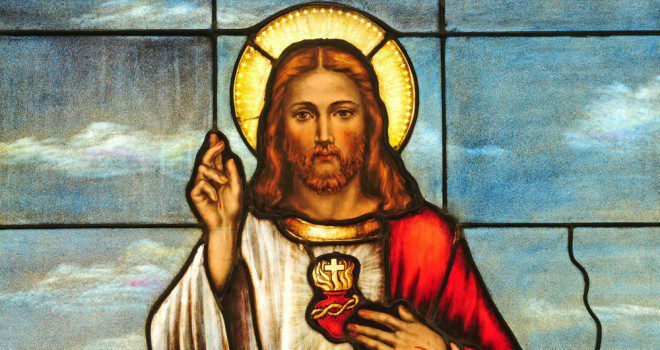 He wanted the French people to feel better and to rise again, giving them a new basilica. The purpose of the church was to protect the French, but also for them to be forgiven for all their sins since the French Revolution. Legentil managed to get a law from the National Assembly declaring that the construction of the Sacre-Coeur was of public interest. 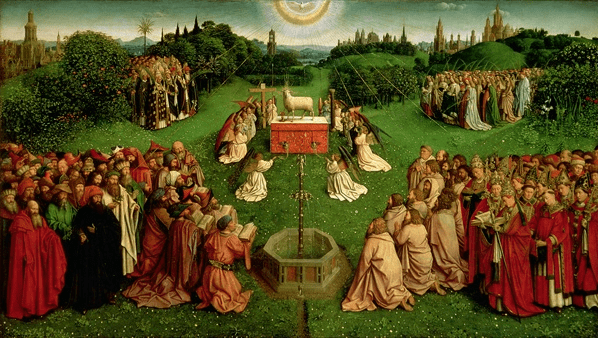 As you now know, many people, from all around France, contributed to the construction of the church. 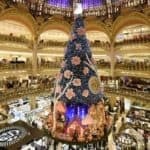 For instance, the Savoie, a French department located in the Alps, offered a gigantic bell called the “Savoyarde“, melted by the Paccard company. 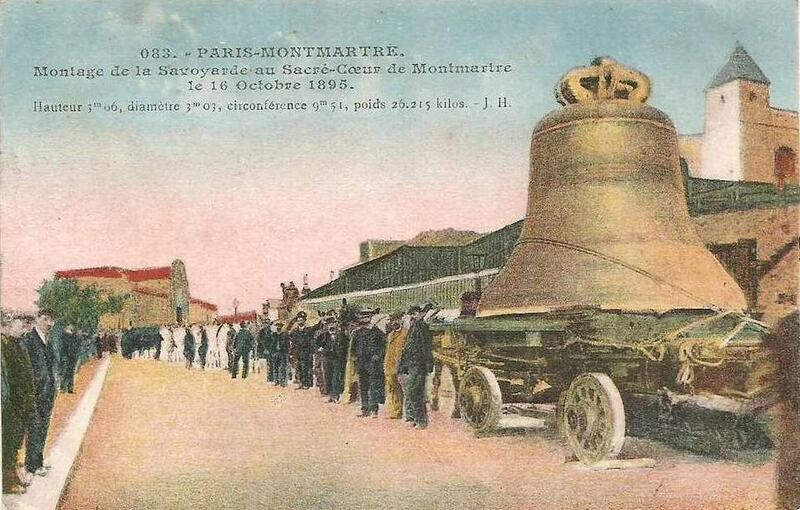 They brought the bell to the Sacre-Coeur in 1895 with the help of 21 horses that dragged the bell to the top of hill of Montmartre. The “Savoyarde” is one of the biggest and heaviest bells in the world, it weighs about 19 tons. While the basilicas that were built during that period were usually named after Marie, the mother of Jesus, the Sacre-Coeur was dedicated to the sacred heart of Jesus Christ, the symbol of the divine love Jesus had for the humans and of the sacrification he made for their sins, as it says in the Bible. One of the most impressive things about this church is its whiteness. You can see it from a distance due to its shiny look. But there’s a reason it stays that white all through the years. Paul Abadie chosen a very specific stone for the construction of the Sacre-Coeur. The white stone came from the quarries in Souppes, in the Seine-et-Marne French department. It is the same stone that was used for the Arc de Triomphe and the Alexandre III bridge in Paris. It is very resistant and the water does not infiltrate. In fact, in contact with water, when it rains, the stones releases a substance, called “calcite”, that cleans the stone and enables it to keep its white color. While visiting the Sacre-Coeur, you will quickly notice that there are plenty of locals, simply sitting, talking to each other while enjoying the view. 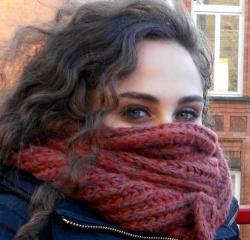 You will often see street artists, and other amazing performances. At the top of the hill of Montmartre, you need to stop for a while and appreciate the fact of being alive. For a few moments, you will feel light-hearted. I’ve been to the Sacre-Coeur several times, but everytime I get there, the same feeling takes hold of me. A feeling of freedom and dedication, because you come to realize that you need to dedicate yourself to what really matters. At the Sacre-Coeur, you will find your inner peace. The “free” way: you give yourself the freedom to wander in the neighborhood, without any guide or explanation. You still need some information about how to get there: read our practical article. The “walking tour” way. Many companies run fun and interesting walking tours in Paris. Discover Walks launched a brand new Montmartre Night Tour and it runs 3 times a week. 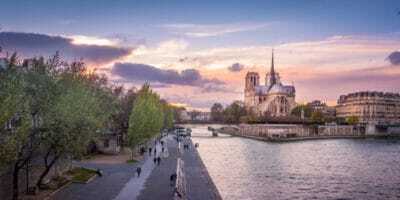 You will see the Moulin Rouge, the Sacré Coeur and other major landmarks with a native guide. 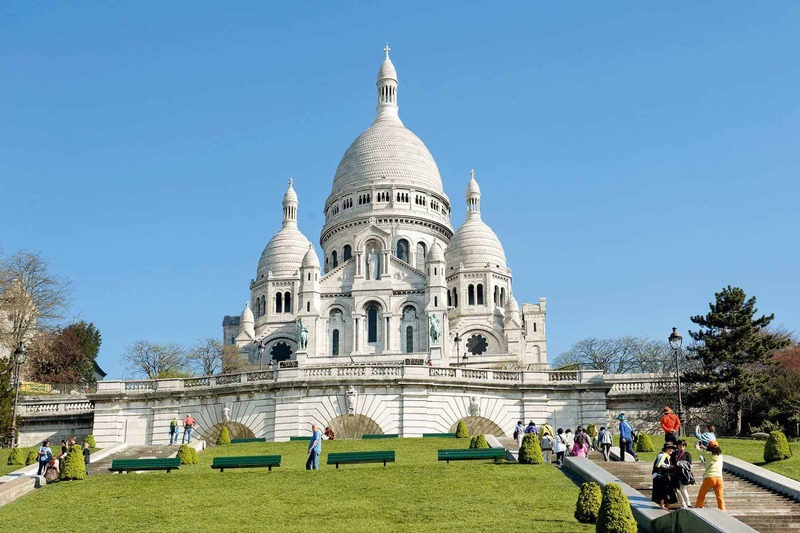 You now know my top 10 fun facts about the Sacre-Coeur! I hope you’ve enjoyed reading this article. Don’t hesitate to contact us if you need further information about anything. Also, if you have some fun facts about the Sacre-Coeur you’d like to share, feel free to tell them. 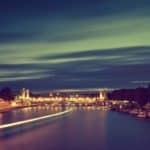 Share your own experiences and thoughts about the city of Paris, so we can grow as a community.